Calls to funeral directors are important and should always be greeted with a personal touch. The sensitivity of your calls often requires immediate attention. Our answering service for funeral homes can handle calls after hours, during showings, or when you’re on the other line. Our empathetic staff are always there to speak with grieving family members, friends, and loved ones, as well as hospitals, facilities, and other authorities. Whether it is a death notification, a call for showing information, or recommending floral arrangements, our staff is available to handle the call 24 hours a day. For nearly half a century, our compassionate operators have been the trusted voice of funeral directors and business owners nationwide. Funeral home answering services from CMS are an affordable solution for those looking to maintain constant availability without expanding their staff or implementing an impersonal communication system. Well-trained operators answer every call made to your funeral home and handle them per your instructions. Calls come in at any time and our after-hours answering services ensure they’re addressed without causing you undue distractions. Provide professional customer service to support family, friends, and loved ones. We provide you with a live voice to answer their questions 24 hours a day 7 days a week. Having worked with numerous funeral homes over the last 25 years, our agents understand the level of care and detail required by your callers. Funeral arrangements are usually the last thing someone wants to deal with after a loved one passes. 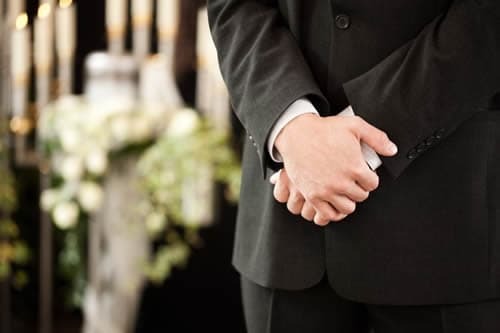 CMS has developed 100% customized funeral home answering services to help you celebrate the life of the deceased without having to worry about answering the phone. Providing answering services to funeral homes nationwide, CMS is the solution for all of your communication needs. We help increase your revenue by giving callers a live contact 24/7. Our services are provided without a huge upfront cost or long term commitment. Through our advanced scripting software, we are able to offer 100% account customization. Each high priority death notification is dispatched to the appropriate on-call and will continue to be sent until someone is reached. CMS gives you the quickest response times in the industry. Losing the ability to communicate with families or the morgue for even one day is harmful to a funeral home’s reputation. Not to mention the bottom line. If you lose your power or telephone system, experience a weather emergency, or encounter a natural disaster, our funeral home call center agents will be available. Your business needs to be prepared for the worst. Every call is recorded and time-stamped, so you know when each call comes in and when your personnel respond.